If Paris, Barcelona and Rome are old hat to you, then perhaps it’s time to look outside the box when it comes to your next European holiday. So, we’ve partnered with Qatar Airways to bring you 6 off-the-beaten-track European destinations you need to visit immediately, if not sooner. Made up of 60 sovereign states (and Qatar Airways flies to 42 of them), Europe is one of the most culturally diverse continents in the world. And what better way to get there than sitting pretty on the Skytrax Airline of the Year? Time to plan that epic Euro-trip you so deserve! Teeming with ancient history, Roman-style architecture and incredible Mediterranean and Middle Eastern-inspired cuisine, Skopje should be at the top of your Europe bucket list (if it isn’t already). 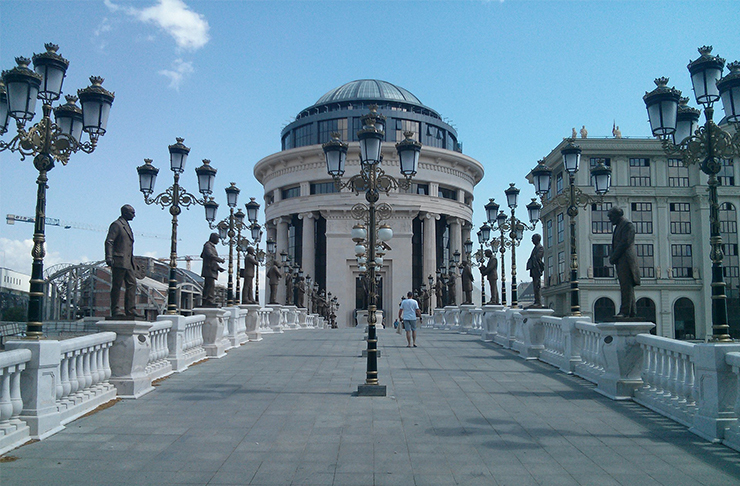 Situated smack bang in the middle of the Balkan Peninsula, Skopje is a melting pot of culture and everywhere you look there’s a site to be revelled in. Take a happy snap with the towering Alexander the Great statue; visit Carsija and revel in the tea houses, mosques and tiny, winding streets; stop by Kale Fortress for your dose of tenth century history and gaze down the Vardar River; spend your dollars at Old Bazaar and Bit Bazaar; cross the sixth century Stone Bridge; hike Vodno Mountain; and take a bus out to Matka Canyon for some eye candy of the natural kind. You’re going to want to get your hands on burek, a filo pastry stuffed with meat, cheese or spinach, and shopska salata—a salad filled with fetta cheese. 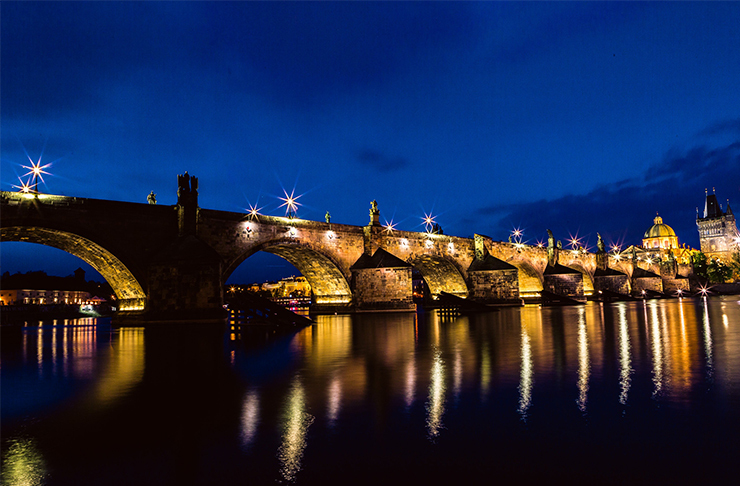 While it might boast one of the most well-beaten tourist tracks in the Czech Republic, we bet you didn't know about Prague's lesser known treats that can be stumbled upon on a short drive just outside the city centre. From the untouched world of true Czech nature Divoka Sarka to the off-the-beaten-track Letna and Holesovice districts, there is plenty to uncover. Check out the view of the city from across the bridge at night; spend up big at the Kolbenka Flea Market, one of Europe's largest; get your nerd on and load up on caffeine at Bitcoin Coffee; see the latest artworks at DOX Centre for Contemporary Art; and of course, take a day-trip to Divoka Sarka and get lost in nature. Kurtoskalacs (chimney cakes) are an absolute must! They're basically a tall, cylindrical doughnut coated in sugar and cinnamon and sometimes filled with goodies like Nutella. And beer is a given with almost every meal. It would be understandable if you mistook the pronunciation of this place, as it is in fact really, really nice! 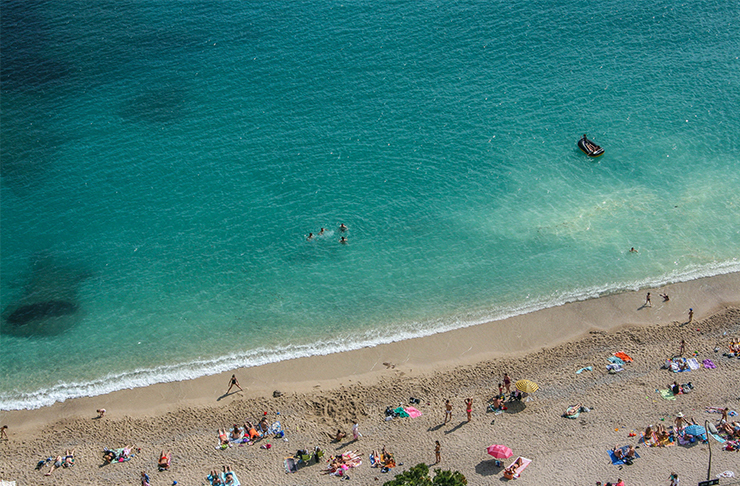 Perched on the French Riviera (aka paradise), Nice is home to year-round sunshine, in case the deep azure oceans aren’t enough to convince you to head that way. Expect all of the magnificent French architecture, plenty of chilled-out vibes and pebbled beaches, not to mention some of the most incredible food you’ll likely to ever devour. You’d be a total bozo if you didn’t spend a day at the beach or on a boat (or both), but you’ll also want to check out the Matisse Museum to marvel at Henri’s most renowned artworks; catch stunning views of the city from Le Chateau; buy beautiful blooms at the Cours Saleya Flower Market; fall in love with the Promenade des Anglais; eat more cakes and chocolates than your stomach can handle along the Rue Francois de Paule; and scope out the Roman ruins to give your life a little perspective. Aside from everything, it would be remiss of you not to visit one of the many Michelin restaurants—we hear very good things about Chantecler, Flaveur and Jan.
Stop everything, we have found one of Europe’s cheapest cities to travel to! 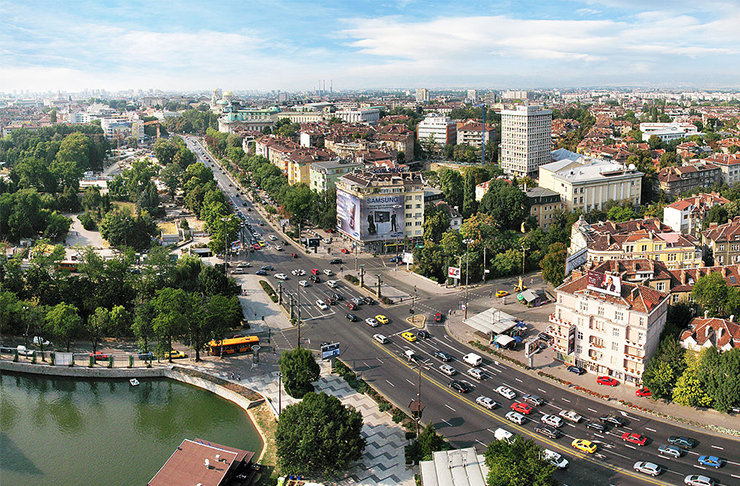 With a rich and colourful history, Sofia is a super cute Bulgarian metropolis. Think brightly painted, dome-topped buildings and a hodgepodge of architecture showing the city’s age. If you’re hoping to catch some snow, this is where you should do it! Enjoy the spectacle of the painted domed ceilings at the Aleksander Nevski Cathedral; Stretch your legs at the Borrisova Garden; head out to the slopes of Mount Vitosha; scratch your head and snap some pics at Snail House; and swing by the many museums. Bulgarians are not shy about their love for desserts so it would be wrong not to indulge in some sugary goodness. You’re definitely going to want to try garish cake (chocolate icing atop a ground walnut cake) and katma (similar to crepes), as well as eating copious amounts of baked goods on the daily. And definitely head to a soup restaurant to warm your cockles if you’re there in winter time. This teeny tiny Swiss city is burgeoning with things to see and do. The HQ of the United Nations in Europe, it’s no surprise that just about every language in the world is spoken in Geneva. From its bohemian towns and stunning waterways to the gourmet delights you’ll find along the lakefront promenade (hello chocolate! ), there’s a high chance you will never want to leave. 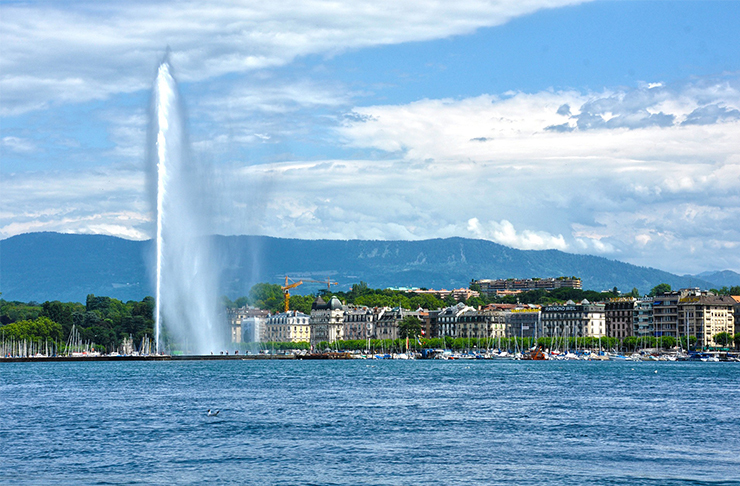 Look up at one of the world’s tallest fountains, Jet d’Eau; climb to the top of St. Pierre Cathedral to take in the view from above; take a stroll in the Quartier des Grottes; relax in Parc des Bastions and Parc de la Grance; and swing by Geneva’s version of Little Italy, Carouge. It would be wrong to visit Geneva and not eat fondue, and Place du Petit-Saconnex reputedly serves the best. The same goes for caclette—hot cheese scraped onto potatoes, gherkins and onions. You will be in cheese heaven. 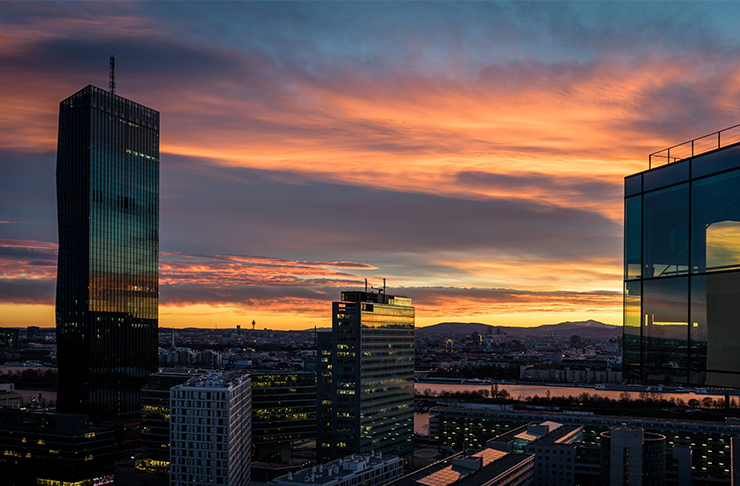 Vienna is not just a city for re-enacting your favourite childhood movie (The Sound Of Music, obviously), it’s a hive of World Heritage sites, jaw-droppingly gorgeous vistas and coffee culture. This Austrian city sprawls across 23 districts and everywhere you look is worthy of a photograph. Lust over the Imperial Palace; pay homage to the genius that was Mozart and swing by Mozarthaus; watch the equestrian show at the Spanish Riding School; spot the tiled roof of Stephansdom cathedral; ride the Riesenrad Ferris wheel; visit the architectural art piece that is Schloss Belvedere; and if you’re in town during summer, get tickets to an open-air film. Apple strudel, gulasch and wiener schnitzel abound here, among a range of Turkish-influenced cuisine. The coffee houses are a must for a killer brew. 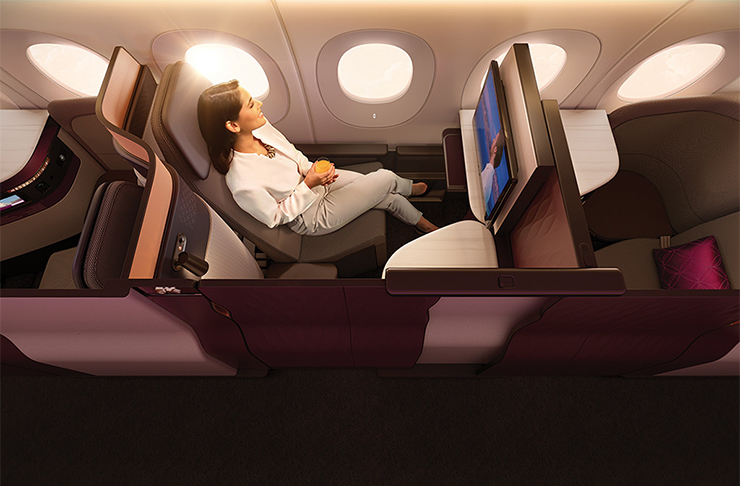 Good news for all your Perth to London travellers, you can now live it up in the lap of luxury on Qatar Airways latest Qsuite-fitted B777 plane on the leg from Doha to London.